A Bronx man who spent three years as a teen in Rikers Island enduring beatings by guards and inmates and long stints in solitary confinement without ever being convicted has committed suicide. "Ma, I can't take it anymore." reform the scandal-plague city jail to stop solitary confinement for 16- and 17-year-old inmates. "This case is bigger than Michael Brown," Browder's lawyer, Paul Prestia, told the New Yorker, referring to the unarmed black Missouri teen whose shooting death by a white cop in August 2014 sparked national protests. "When you go over the three years that he spent (in jail) and all the horrific details he endured, it's unbelievable that this could happen to a teen-ager in New York City," Prestia said. "He didn't get tortured in some prison camp in another country. It was right here!" In May 2010, cops arrested Browder on Arthur Ave. in the Bronx after a teen accused him of robbing him of his backpack. 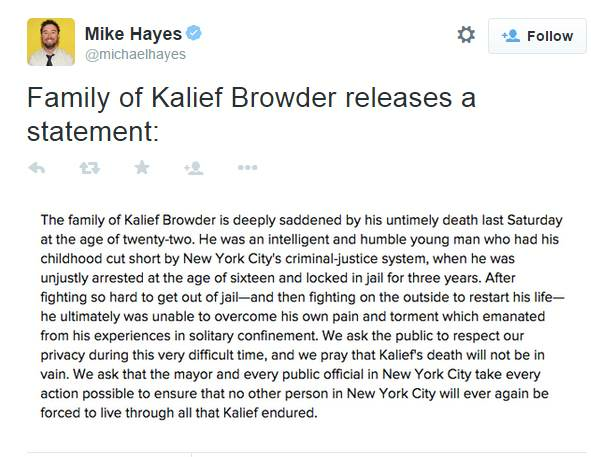 His family was unable to raise his $10,000 bail, so Browder remained locked up in Rikers awaiting trial. He was offered a plea deal after 33 months, which he refused. As months turned into years, the stress got to Browder and he attempted suicide several times. 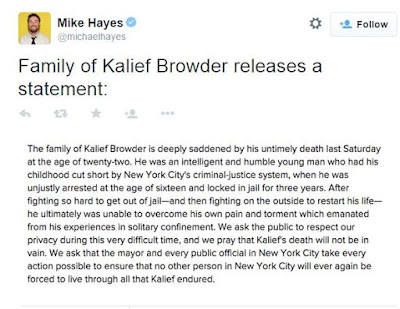 Browder spent more than 400 days in solitary confinement. 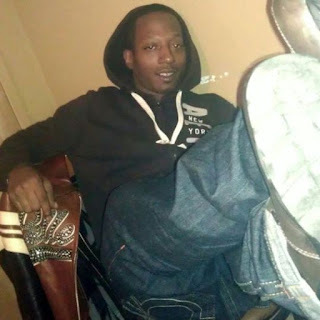 He was released from Rikers in May 2013 when charges were dropped. In April, shocking Rikers security footage from September 2012 surfaced showing a correction officer slamming Browder to a cellblock floor and pummeling him. Other footage from 2010, showed Browder being beaten by 10 teen inmates in a wild brawl.